Roma is a feast. It is a feast for the eyes. It is a feast for the senses. Most of all, writer/director Alfonso Cuarón’s (Gravity, Children of Men) latest is a feast for the soul, this meditative marvel of memory, regret, friendship, family, history and love a majestic treasure trove of emotion that is stunning in its empathetically human largess. While intimate in nature and in focus the film is still epic in scope and in meaning, its overall effectiveness in large part due to the Oscar-winning filmmaker’s insistence to observe and report in ways that are long-lasting, viscerally personal and hauntingly pure. Make no mistake, this is one of 2018’s best pictures, and whether the viewer sees it sitting dead-center in a theatre like Seattle’s Cinerama or in the comfort of their own home streaming it via Netflix, this is as essential a piece of entertainment as anything I’ve had the pleasure to recommend this or any year. 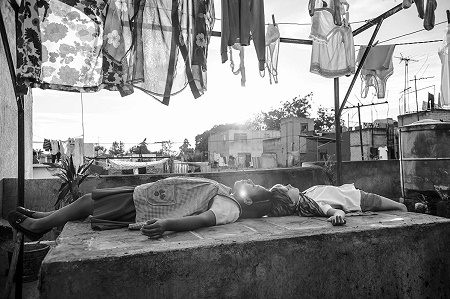 Based on remembrances from his childhood, the story revolves around middle-class Mexico City housemaid Cleo (Yalitza Aparicio), a silent historical observer who takes care of the house and the children of the respected Dr. Antonio (Fernando Grediaga) and his beautiful wife Sofia (Marina de Tavira). She loves all four kids, Toño (Diego Cortina Autrey), Paco (Carlos Peralta), Pepe (Marco Graf) and Sofi (Daniela Demesa), with every ounce of her heart. She works alongside Adela (Nancy García Garcia), a fellow descendant of indigenous Mesoamerican tribes many of whom can be found throughout Mexico engaged as domestics. She has a brief romance with seemingly kind-hearted martial arts student Fermín (Jorge Antonio Guerrero). Things in Cleo’s life appear as if they couldn’t be going better, the happiness she feels working for Dr. Antonio and Sofia in large part due to the fact that they treat her as another member of the family. Things subtly begin to change when Dr. Antonio is called away to Canada for an extended period ostensibly to do medical research. They get more complex when, after a moment of carnal indiscretion, Cleo becomes pregnant with Fermín’s baby. He subsequently disappears after learning about his impending fatherhood about the same time it becomes clear that Dr. Antonio isn’t actually in Canada but instead has been living with another woman somewhere in Mexico City. Nevertheless, both Cleo and Sofia manage to carry on, working together to keep this a happy home for the children while also making sure the beloved maid is getting the best medical care to monitor her pregnancy. As each day passes and one month becomes two things progress onward, a country’s socio-political chaos and environmental uncertainties as monumental and as insignificant as the purchasing of a baby’s crib or making sure the family dog’s excrement is cleaned up out of the driveway each and every morning. 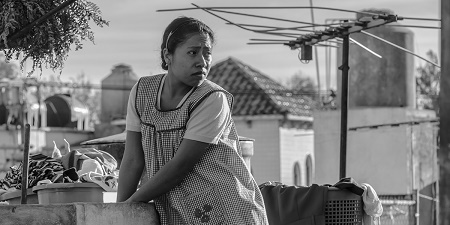 As if he is channeling Federico Fellini’s Amarcord, Chantal Akerman’s Jeanne Dielman, Lucrecia Martel’s The Holy Girl or Edward Yang’s Yi Yi, there’s no denying Roma is Cuarón’s most personal film since his 2001 classic Y Tu Mamá También. It is also his most restrained. But my saying that doesn’t mean the director isn’t still taking risks. His story is as playful as it is tragic, as heart-wrenching as it is uplifting. The movie looks backward and forwards in equal measure, flipping on a dime from the comic to the absurd, to the violent to the redemptive, with a graceful certainty that’s masterful. It’s hard to fully express just how emotionally all-encompassing all of this proves to be. Cuarón allows us to see this world directly through Cleo’s eyes. Fear? Euphoria? Contentment? Worry? Happiness? Love? She experiences all of that and more. The connection between the maid and the children is electrifying, the bonds they share going far beyond employer and the domestic who shares a home with them. There is a riot. An earthquake shatters the quiet of what was until that point a relatively benign afternoon. Disgruntled countryside peasants set fire to a plantation forcing the bourgeois owners to break up an evening party and joyfully battle the blaze in their best holiday attire. Planes from the Mexico City airport fly to-and-fro across the skyline like a nonverbal narrator adding their own jet-fueled commentary on all that is happening. Cuarón is working as his own cinematographer, and he also shares editing duties with Adam Gough. Both facets of the feature are immaculate, especially the former. The black-and-white photography is eye-popping, achieving a level of immersion that takes over the screen. 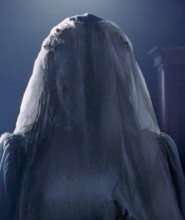 While this trait will undoubtedly prove to be just as true at home as it was in a theatre it is still a travesty most viewers will be watching this one via Netflix and not at their local cinema, as these images deserve to be showcased on as massive a screen as the medium has at its disposal. Augmenting things considerably is the incredible sound design coupled with Cuarón’s minimalist use of music (whether performed by a passing marching band, via a passing car’s radio or some other medium) that plays in the background. This only increases the riveting quality of everything that transpires, including a devastating series of events in a hospital emergency room that hit me like a sledgehammer across the side of the head. The beauty of this achievement is undeniable. The performances from Aparicio and de Tavira are extraordinary. The level of introspective exactitude that Cuarón brings to the material is beyond reproach. This is a movie that will be discussed, debated, celebrated and treasured for decades to come. It all comes to a close with sequences of selfless humanity and familial kinship that rocked me to my core. I loved every single second of what Cuarón has done. 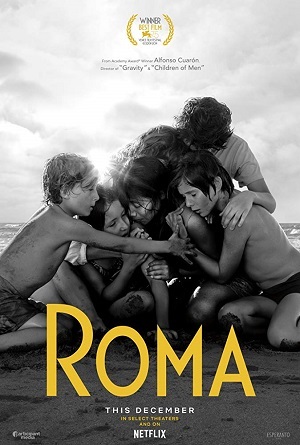 I can’t wait for others to finally see Roma for themselves. If ever any motion picture deserved of being labeled an instant masterpiece, this one might be it.